Women's Designer Silver Pendant : LOVE2HAVE in the UK! This women's silver designer pendant features the same silver off square pendants with smoothed edging that also feature on the off-square silver pendant on a silver chain bracelet. 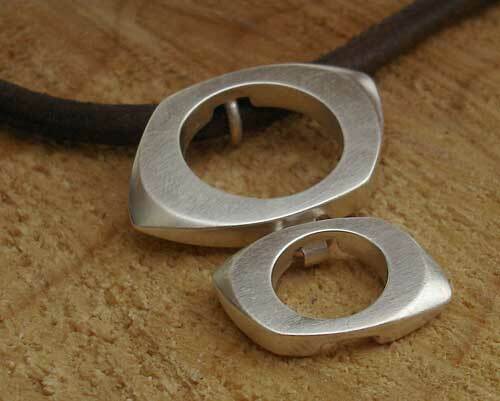 The pendants this time have been doubled up as a drop design and come with a brown leather necklace. The larger square measures approximately 2.4cm x 1.5cm and the smaller square 1.5cm x 1cm. The leather measures about 16 inches and other lengths are available on request. 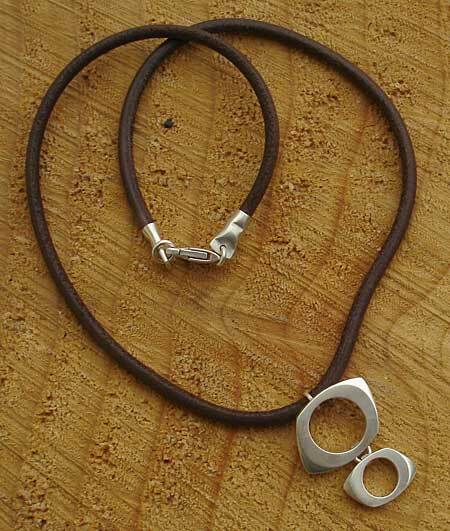 It comes fastened with a secure silver lobster clasp. Also available in black leather too. Please email for details.